Moe is joined by the three outliers of team Play Bigger - Al Ramadan, Christopher Lochhead, and Dave Peterson to discuss the mental fortitude it takes for companies and their leaders to design new categories. As I started to read, Play Bigger — a contemplation of how pirates, dreamers and innovators create and dominate markets by strategic advisors Al Ramadan, Christopher Lochhead, and Dave Peterson — I was reminded of the days when I used to listen to Muhammad Ali constantly utter the words “I am the greatest. I said that even before I knew I was. I figured that if I said it enough, I would convince the world that I really was the greatest.‘ Not only did his repeated mantra convince the world of his greatness as a boxer & all-around athlete; his character remains, decades later, as the quintessential exemplar of what it means to be a great human being. 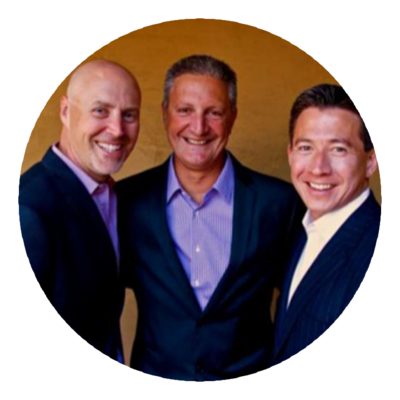 Al, Chris and Dave work with the type of bold companies that redefine industries in much the same way that Ali did in boxing. They create new categories, discover hidden problems, and most importantly reimagine better ways for us to live, think, and grow. It’s rare to find a book of this caliber having four equal contributors, including journalist, Kevin Maney; still as you’ll quickly discover during my conversation with these three outliers, they share a distinct point of view.